It has taken Eastern Cape High Court judge Clive Plasket six years to return for an interview with the Judicial Service Commission (JSC). Whether it was time spent recovering from the wounds inflicted by the commission from his last visit — when he similarly interviewed for a position at the Supreme Court of Appeal (SCA) — is anyone’s guess. What is certain is that the commission was in one of its foulest moods in 2013. For two hours Plasket endured a mauling from commissioners who had spent the previous day in discussion about a letter one of its commissioners had circulated, before it was leaked to the press. In the letter, former commissioner Izak Smuts had questioned the transformation obligations of the commission and whether it was biased against appointing white males to the bench, unless in “exceptional circumstances”. The ensuing interview of Plasket, who seemed to allow himself to be drawn into a defence of pale-maleness and privilege quite easily, confirmed that race and transformation remained a raw and divisive topic for commissioners and South Africans — as it still is. 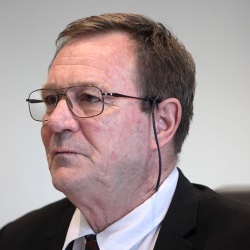 A high court judge since 2003, Plasket has previously spent four acting stints at the SCA, the most recent from July 2017- May 2018. During the last stint Plasket sat with a full Bench on an appeal brought by the department of home affairs. The department had sought to set aside a finding by the Public Protector that maladministration had occurred when it had transferred an employee from the South African Embassy in Cuba back to South Africa. The employee had been recalled after complaints by the Cuban government and his cost of living allowance was subsequently also stopped. Writing for a unanimous Bench, Plasket found that the decisions of the Public Protector did not constitute administrative action and therefore the Promotion of Administrative Justice Act (PAJA) did not apply to reviews of any exercises of power by that office. Instead, the principle of legality applied. The appeal was dismissed on the grounds that none of the grounds for review were established. In an academic article regarding administrative law published last year in Juta’s Quarterly Review of South African Law, the authors, while approving of Plasket’s “careful characterisation of the Public Protector’s powers” as not being administrative in nature, found the statement that it made no difference whether the review was founded in PAJA or the principle of legality, “jurisprudentially unsound”. In deciding Harvey v Niland, a civil procedure matter in the Eastern Cape High Court, Plasket was called on to strike out of an annexure to the founding affidavit a print-out of Facebook conversations which, on the papers, were accepted to have been obtained through hacking. The first respondent, whose the comments was, had argued this made the posts illegally obtained and thus inadmissible. Plasket identified the common law rule as being that all relevant evidence not rendered inadmissible by an exclusionary rule was admissible, irrespective of how it was obtained, subject to a discretion to exclude unlawfully obtained evidence. He held that the Electronic Communications and Transactions Act, being silent on the issue of evidence obtained in violation of the Act, allowed for the admission of unlawfully obtained evidence subject to the direction of the court to exclude it. Plasket held that in exercising the courts discretion, all relevant factors had to be considered, including the extent to which, and the manner in which, a party’s right to privacy (or other right) had been infringed, the nature and content of the evidence concerned, whether the party seeking to rely on the unlawfully obtained evidence attempted to obtain it by lawful means, and the Constitution did not countenance “unrestrained reliance” on the argument that “the ends justify the means”. Noting the relevant material established that “Niland had been conducting himself in a duplicitous manner” — and in contravention of the fiduciary duties he owed to the closed corporation that the litigants were the sole members of — Plasket found Niland’s “claim to privacy rings rather hollow”. He held that the lawful means available to the applicant of obtaining the evidence were “more apparent than real”, as he would not have been able to bring proceedings without the evidence. The annexure was admitted, and an interdict was granted. Plasket holds an LLB and LLM from the University of KwaZulu-Natal and completed his PHD at Rhodes University in 2003. An associate professor at the university, Plasket has lectured there since 1983. He has penned numerous academic articles, including Administrative Justice and Social Assistance in 2003, where he noted the vital importance of administrative law in addressing the socio-economic ills entrenched by apartheid and Human Rights in South Africa: An Assessment, which examined the country’s progress to democratic government from the Langa Massacre of 1985 until 2005. In a 2017 speech at Rhodes University’s law faculty Plasket argued that the concept of “judicial deference” is little more than a short-hand way of saying to the parties to a dispute, the public at large and perhaps mostly directed at politicians that: the judge knows his or her role, understands the difference between review and appeal, and is alive to the doctrine of separation of powers. Apart from this role, Plasket suggested, the term was “essentially meaningless”. He has previously worked as an attorney and from 1992 until 1997, served as director at the Legal Resources Centre. The Eastern Cape High Court judge had previously been on the receiving end of the Judicial Service Commission’s (JSC) foulest moods when he last sat in the interviewee hot-seat in 2013 (see profile). This interview was much smoother, and he was duly recommended for appointment after admitting that he may have erred in his argument regarding transformation last time around. Then he had combined a legitimate perspective on the role transformative and progressive judgements play in weighing one’s transformation credentials (as opposed to mere box-ticking along race and gender lines) with an apparent inability to admit his own white male privilege. Plasket said his several acting stints at the SCA and varied expertise in administrative law (on the Bench, in practice and as an academic) would stand him in good stead at the appeals court if appointed. Supreme Court of Appeal President Mandisa Maya noted that Plasket was a “fearless fighter for the disadvantaged” who had “waged a long battle” to ensure social justice in the Eastern Cape — to the point that he was “seen as an anti-government judge”. Plasket said, while contemporary South Africa was not as bad as apartheid, he nevertheless saw his role on the Bench similarly as to when he worked for the Legal Resource Centre: that the “right thing to do” was to champion a better world for societies most vulnerable; the old, children, women and so on. Attorney Mvuso Notyesi asked Plasket how jurisprudence could be used to ensure fair access to the economy. Plasket said it was a “difficult question” but a “transformative” Constitution, was the “starting point” which allowed a “positive enforcement of rights” while being mindful of the separation of powers principle. Plasket then engaged in an exchange with Chief Justice Mogoeng Mogoeng during which the latter suggested that the Constitutional Court’s Blue Moonlight judgment had “created more problems than offered solutions” in that it protected occupiers to the detriment of landowners. A startlingly anti-poor perspective from Mogoeng. Justice Minister Michael Masutha also chipped in with his own reactionary analysis of socio-economic judgments that did not come out in favour of government, suggesting that this approach may be “too radical” and promoted “anarchy”. Plasket said judges were guided by the Constitution which talked of the reasonable and progressive realisation of socio-economic rights, this recognising constraints such as policy-shifts and budgets. In responses to other questions he noted that administrative power was, “classically”, used to discriminate so it would be interesting to consider a matter which argued that the Promotion of Administrative Justice Act was read together with the Promotion of Equality and Unfair Discrimination Act.